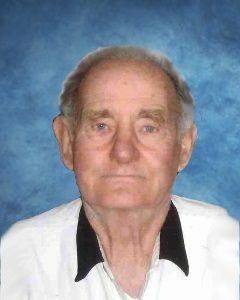 Barry M. LeVesseur, age 93, of Dassel, Minnesota, passed away Wednesday, February 13, 2019, at Augustana Dassel Lakeside Community Home in Dassel. Memorial Service will be held on Monday, February 18, 2019, at 1:00 P.M. at Seventh-day Adventist Church in Hutchinson, Minnesota with spring interment. Barry Myron LeVesseur was born on March 26, 1925, in Duluth, Minnesota. He was the son of Barrot and Verna (Evens) LeVesseur. Barry was baptized as an infant and confirmed in his faith as a youth. He received his education in Tamarack, Minnesota. Barry entered active military service in the United States Army on January 13, 1949, in Seattle, Washington. He received Honorable Discharge on February 21, 1950 in Fort Jay, New York. On July 19, 1950, Barry was united in marriage to Marjory Johnson. This marriage was blessed with two children, Mike and Muriel. Barry and Marjory resided in Hutchinson, Minnesota. They shared 69 years of marriage. Barry was employed as a mechanic and carpenter. He was also a member of Seventh-day Adventist Church in Hutchinson, Minnesota. Barry enjoyed hunting, reloading bullets and being outdoors. He loved his Harley Davidson motorcycles. Barry also volunteered for the Habitat for Humanity. Barry passed away on Wednesday, February 13, 2019, at Dassel Lakeside Community Home in Dassel, Minnesota, at the age of 93 years. Barry is preceded in death by his Parents, Barrot and Verna LeVesseur; Sisters, Margie Roschlein, Esther McElwee; Granddaughter, Lisa Bloom. Barry LeVesseur is my uncle. I live in Pittsburgh and want to send flowers. Could you email me when arrangements have been made?